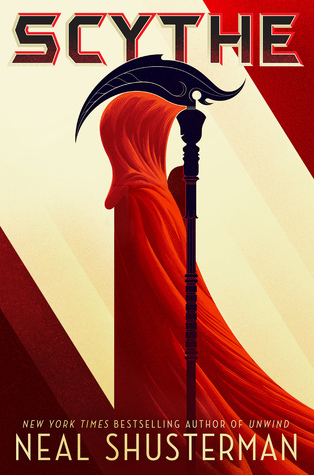 The Arc of a Scythe trilogy by Neal Shusterman is a great series that I read after watching it be hyped by EmmaBooks, and the hype was worth it. I thoroughly enjoyed the first two books (the third one will be published later this year) and wanted to share my reviews with you. In a world where death has been cured, scythes are needed to stop overpopulation. Citra and Rowan have been picked to train as scythes, but there is a catch. Only one can be ordained. This book raises quite a lot of questions and issues about life, death and political opinions. 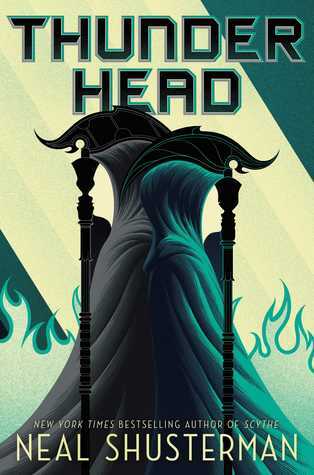 The rules of the scythedom mean that they are meant to kill in a manner similar to death today, however, this allows Shusterman to highlight injustices in our own time. The plot is well thought out and keeps you wanting more, I couldn’t put it down. The characters are also well developed as we spend a lot of time reading diaries of some of the characters as well as listening to them debate their own moral codes and philosophies. I look forward to not only reading the next book in this series, but also other books by this author. The second book in the Arc of a Scythe series is almost as good as the first. The beautifully created world is explored in more detail as Scythe Anastasia enters the scythedom. We also get to see more of the politics in this world, which was something we were introduced to in the first book but were kept hidden from us. It was also quite nice seeing an external viewpoint of the scythedom as before we were shown only those in this elite group, but now we get to see the world outside. I also enjoyed seeing what the Thunderhead was all about. Its main purpose in the first book was to be something that our protagonists no longer had access to, but now we can see what they are missing out on. I did find that some of the plot twists in this book were unsatisfactory but the consequences of them were handled wonderfully. I was also not very impressed with the ending, but am intrigued to see what will happen in the third instalment.